ldot, Author at LDOT - O.T.SERVICES INC.
Lesya Dyk O.T. Services is an independent rehabilitation company that is dedicated to providing exceptional evidence-based and client centred treatment and assessments. Excellent remuneration under contract for service agreement. As treasurer of OSOT, Lesya Dyk contributed the following article to OSOT members via “A Monthly Message from the OSOT Board of Directors” regarding seniors aging in palace which is a current focus of interest as June is National Seniors Month. Occupational therapy has a significant role to play in helping seniors lead healthy and productive lives. OSOT is working hard to support our members with several initiatives to address the aging population in Canada. According to Statistics Canada – by 2038, a quarter of our population will be over the age of 65. This will mean that there will be 4.8 million more people over the age of 65 than there are now. The current resources available in health care will not be able to gear up to meet this need. The reality is that the crisis of how to meet the health needs of the aging population is here. What is certain, there will be more of a role for Occupational Therapy – if we are careful and ready ourselves . This BoardTalk is dedicated to how OSOT is working toward this goal. Consider the following 5 examples of our commitment. OSOT was a founding member of the Steering Committee of a consortium called Home Modification Canada (HMC) that was struck by Don Fenn of Caregiver Omnimedia in 2015 to address the “Ageing in Place” issue. While it is clear that a lack of long term care resources will necessitate seniors aging in place, that is, in fact, where research tells us they want to be. HMC was focused on promoting the need to better organize and integrate the home modification marketplace to best meet the needs of that growing aging population who wish to age in place. 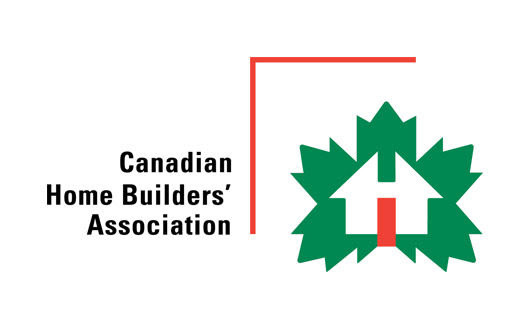 HMC’s report and recommendations were well received by the CHBA w hich has moved forward to develop a national Home Modification Council. The best news? Our early work and representation and advocacy with HMC has resulted in occupational therapy being the only health profession represented at the Council table! I have had the pleasure of representing OSOT at the HMC Steering Committee, experiencing the respect and support of our colleague stakeholders in the home modification marketplace, and am delighted to continue this representation at the CHMA Council Table as CAOT now takes on the professional representational role at a national level. Two years ago, the Board of Directors engaged a group of members to advise on how best the Society could advance the profession as leaders in seniors health and well-being. As a strategic priority, a focus on seniors has informed initiatives OSOT has undertaken in advocacy, promotion and professional development in virtually all sectors of OT practice, however, our ability to move the needle in terms of leadership and recognition in seniors health is something we wished to advance more fully. Under the chairmanship of Dr. Barry Trentham, our council includes Christie Brenchley, Barbara Cawley, Dr. Catherine Donnelly, Dr. Colleen McGrath, Aaron Yuen and Dr. Briana Zur. 3. A Vision for Enabling Healthy Aging in Ontario – a knowledge mobilization too initiative! Approving a recommendation and proposal of the Seniors Advisory Council, OSOT is embarking on a new project initiative which aims to promote the evidence-based value of using an occupational lens to respond to the needs of a growing older adult population. Focused on the development of a dynamic website that features modules focused on key life course occupational transitions and profiles the work that occupational therapists are doing and/or could be doing to enable aging well, the project is focused on knowledge mobilization both within and external to the profession. An enabler of this project has been the successful application of the Society to become a partner of AGE-WELL, Canada’s Aging and Technology Network. AGE-WELL’s co-funding and resource support to the project both recognizes the value of promoting and enriching occupational therapy as a resource to aging well, but also provides access to knowledge translation resources to support OSOT members who share a practice interest in seniors health and well-being. Watch for our formal launch of this partnership later this month! Meantime, see our posting for a Post-Doctoral Trainee for a position commencing September 2018 and running to August 2019. This full-time position will take a leadership role in the development, facilitation and evaluation of this knowledge mobilization project. There’s still time to apply! See call for applications. Assuming leadership roles in seniors health and well-being requires a ready and informed membership. You have OSOT’s commitment to support your professional development to enable you to position your services to serve the needs of seniors and the health system that supports them. provides but one opportunity to get involved, participate and learn. This year we will host a professional issues/leadership forum focused on advancing our profession’s roles in seniors health and well-being – plan to be a part! 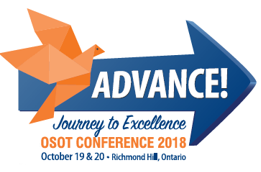 Reserve the Conference dates – October 19 – 20, 2018 now! The Society continues to look at opportunities to host webinars and workshops to give our membership the tools that they need to work in this arena. Watch for the 2018 – 19 PD Program of Events and check out our listing of Archived Webinars that can support your practice in this area. As the OSOT Board puts the finishing touches on our new Strategic Plan, we will reveal how we will continue to advance work that supports our members, senior citizen clients and their families to ask for Occupational Therapy Services… and to access them! Stay tuned! World Federation of Occupational Therapist (WFOT) Congress – LDOT Occupational Therapist, Hanin Al-Helo will be travelling this Spring to Cape Town, South Africa to present her published research project “Targeting the Globe” at the World Federation of Occupational Therapist (WFOT) Congress. “Targeting the Globe” addresses the challenges that student OTs completing international placement face and the support that helps them succeed. Hanin and a group of her peers at McMaster University prepared this research as they completed their second year Evidence-Based Projects and later after graduation they continued on at the request of World Federation of Occupational Therapist (WFOT) to develop the “WFOT Student Guide for International Practice Placement”. Back to School – The summer holidays are over and students are back at school. This is also a time when the cooler Fall weather is upon us – a good time for kids and their families to leave their cars at home and ride their bikes to school and work! As well as a valuable source of transportation; cycling is also a great recreational activity, as long it is performed safely. Safety when cycling is important, especially since the morning and afternoon rush contributes to greater accident risks. The best way to remain safe when riding a bike is to wear a properly fitted helmet. Taking this safety measure has been known to reduce the risk of serious injury such as concussion, brain injury, and even death. Not only are brain injuries the leading cause of death in cyclists, if survived, a brain injury can seriously affect the rest of your or your loved one’s life. Even slight trauma to the brain can cause both mental and physical limitations. Victims of these injuries can face years of therapy and rehabilitation, and the impact can often last for the rest of their lives. and lastly, make helmets fun by letting your child choose the color and design for their helmet. It is also important to note that any person under the age of 18 is legally required to wear a helmet. Also, parents and guardians are responsible to ensure that any child under the age of 16 is wearing a helmet. It’s the law, read more here. The Fall is a great time for kids and families to get outdoors on their bikes and take advantage of the weather – as long as such outdoor activities are done safely, you can ensure the break will be enjoyable for everyone! Protect Your Brain – Put a lid on it! If you have any question regarding how LDOT can help you, please do not hesitate to contact us. Best Practices in Fall Prevention – When you want to make a change for your health, you want to know about best practices. Best practices are strong recommendations that clinicians (doctors, occupational therapists, etc.) use to provide their patients with an effective intervention (treatment or modification). The clinicians base these recommendations on evidence in the clinical unbiased literature. Evidence found that the intervention improved the health outcome, and the conclusion is that the benefits outweigh the harm. This is a big deal. The evidence is what should guide all good practice. It is why you buy a car with safety ratings that are independently researched, and not just the word of the company that is trying to sell you a car. So, when our team at LDOT Services were looking at Best Practices for Fall Prevention; we looked at the literature and found what the American and British Geriatric Society recommended as best practice. A multifactorial fall risk assessment should be performed by clinicians with appropriate skills and training, (Occupational Therapists have this training) including a focused history, physical examination, functional assessment (watching clients actually do things) and an assessment of their environment. With respect to ‘interventions’ or ‘treatment’ – the following should be “Best Practice”. More importantly – the following was NOT recommended in that there was fair evidence found that the intervention is ineffective, or that harm outweighs benefits. Other evidence that was strong was that vitamin D supplements should be taken by persons proven to have insufficient vitamin D intake. The only way to know whether this is an issue is to consult a doctor – and this is our recommendation. Our practice is best practice. We provide a multi factorial assessment. We provide recommendations to eliminate hazards within the home and provide options to promote the safe performance of daily activities. We can provide a list of vetted contracting companies that specialize in home adaptations. We can work with the contractors to ensure you get what you need to make the living safer, and avoid what may put you in harm’s way. We provide in home and pool exercise programs though our team of Occupational Therapy Assistants. And by using Occupational Therapy Assistants we ensure these programs are accessible and financially feasible for the participants. For information on these programs or any of our Occupational Services; please contact us directly; you will reach a live knowledge representative at either our Hamilton Office: 905-481-1122 or our Toronto Office: 416-907-6287. Alternatively, you can email us directly anytime and one of our helpful representatives will respond very quickly. On behalf of the team at Lesya Dyk O.T. (LDOT) Services, I would like to extend our congratulations to Natasha Auret, on her graduation from the University of Guelph with a Bachelor of Commerce, Major in Accounting, with Distinction. Prior to and during her academic career at the University of Guelph, Natasha contributed in various administrative roles to the success of many projects at LDOT. For example, she re-joined our team in the summer of 2015 to organize and spearhead our ‘Document Scanning Project’. Under her direction, thousands of legacy patient files in the possession of LDOT Services were scanned and stored electronically. The procedures Natasha implemented during the project continue to be used to this day in our document management system. At present, Natasha has accepted a full-time position at Deloitte which she will commence in September 2017, and is currently completing course work to fast-track her Certified Professional Accountant (CPA) exam eligibility. We wish Natasha all the best in her future as a Certified Professional Accountant and thank her for her past contributions to Lesya Dyk O.T. Services.